For acoustic music collectors of the 1980s and 1990s, the Windham Hill record label was the go-to purchase if you wanted high fidelity sound and lush, meditative LPs (and later, CDs) with serene landscapes gracing the album covers. Think George Winston’s “Winter” and the brand’s popular solstice collections, which regularly featured a variety of Windham Hill artists, from guitarist Michael Hedges and violinist Barbara Higbie to founder and fine guitar player himself, William Ackerman. The label produced best-selling records that were also well regarded by the critics. While the independent label was sold years ago and no new Windham Hill recordings have been released in years, many of its artists keep the Windham Hill spirit alive with annual solstice tours. The Smith Opera House in Geneva welcomes three of those musicians on Sunday, Dec. 2 for Windham Hill: A Winter Solstice Concert with Liz Story, Sean Harkness and Samite. The 8 p.m. performance will feature the artists as a trio, as duos and as soloists. Here’s our introduction to each of them. Pianist Liz Story has the longest history with Windham Hill, making her debut album “Solid Colors” under the label back in 1983, after Ackerman discovered a tape of her compositions that evolved from her improvisational style. She grew up in Southern California, and was trained to be a classical music prodigy by adolescence, mastering Mozart’s Piano Concerto No. 11 before her 12th birthday. She pursued music at Juilliard School of Music and Hunter College. But the defining moment of musical education took place later, when she heard jazz pianist Bill Evans play at The Bottom Line. “I had no clue that other pianists improvised. I walked up to him after the show and asked him if he was improvising. He looked at me and said yes,” Story recalls in a phone interview from her Arizona home. 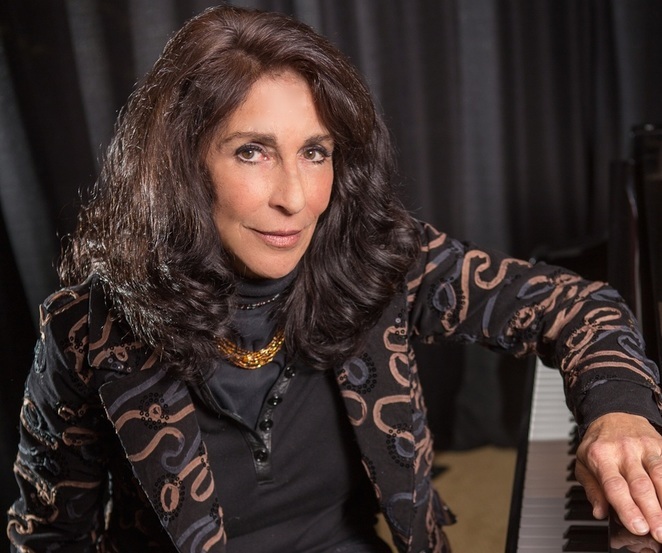 She decided that night to learn jazz, and began studying with Sanford Gold, one of the best jazz piano teachers of his era, recommended by Evans. Her foray into improvisation was born of sheer panic, when playing a gig at a restaurant, Story had no stand for her sheet music, and she simply had to wing it. These fearful explorations without a roadmap evolved into thoughtful compositions, and Liz Story, the improvisor and composer, was born. Story had put active touring, composing and recording on the back burner for several years as she cared for her ailing parents, both of whom suffered from dementia. Her father died on the Winter Solstice in 2016. Her mother, in 2017. 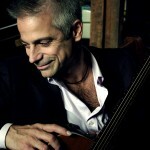 Some people might peg Sean Harkness as a jazz guitarist. Others, a cabaret player. Others still, a bluesman or pop virtuoso. That’s what happens when a New York City-based session musician and solo artist collaborates with peers from diverse genres. Harkness has accompanied great vocalists like Janis Siegel of Manhattan Transfer (part of his ongoing DUOS series at Birdland Jazz Club) and Broadway singer/actor Rita Harvey (part of his Broadway by Guitar project, where Harkness accompanies four to six singers performing the Broadway canon) and he’s been part of a duet with Canadian trumpeter Mike Herriot. And did we mention he also composes and arranges music and has scored music for television? After recording some tracks on one of Windham Hill’s samplers back in the late 1990s, the label offered him his first solo album. “Aloft” was release in 1999. “Windham Hill changed my life,” says Harkness, recalling the fear of not being ready for prime time and the excitement of touring with great artists and performing in great concert halls. Story was among the Windham Hill veterans who supported him, he notes, as did Tuck & Patti and many others. He has also been friends with Samite for years. “Liz and Samite are such strong solo performers. It’s such a fun opportunity to play with each of them and get inside of their songs,” he says. Singer/flutist/multi-instrumentalist Samite Mulondo (his stage name is simply Samite) comes from Uganda but now lives in Tully, south of Syracuse. His journey from Africa to upstate New York includes tragedy and loss, but also healing and sharing, and he has made it his life mission to use music to help others find similar meaning and comfort in their lives. Samite’s grandfather instilled in him the two things that have become the anchor and sail of Samite’s life. The anchor is music. He taught Samite how to play the traditional African wooden flute (Samite later mastered other traditional African instruments: kalimba or thumb piano, litungu or lyre, and drums). During and after the brutal dictatorship of Idi Amin, Samite continued to play music, though by then he had already lost a brother and step-father to the violence. He and a friend launched a popular cover band. One day while having his shoes polished, Samite noticed two policemen following him. Fearing he would be abducted and tortured as his brother had been, he braced himself for the worst. Instead, the police asked about his next performance. “I was getting ready to beat them up and join that culture of killing. That’s when I realized I cannot handle this anymore,” he says. Samite fled to a Kenya in 1982. During his months at a refugee camp, Samite found music helped soothe the pain of homesickness. Others who heard him play told him his music helped them through their struggles as well. That is when his grandfather’s other life lesson — service to others — took sail in Samite’s own life. He decided to channel his energy into “the healing power of music,” which has directed his career ever since. 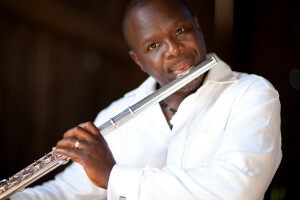 Since settling in the United States in 1987, Samite has recorded nearly a dozen albums (including his 1999 Windham Hill release, “Stars to Share”), has been featured on several documentaries, including “Song of the Refugees” about the plight of African refugees and “Alive Inside” about the power of music to awaken people living with Alzheimer’s disease and dementia. In 2002 he founded Musicians for World Harmony, an organization that brings music therapy to African refugees in the U.S. and Africa, AIDS patients, Alzheimer’s patients, and others. When he is not traveling the world performing and delivering his message of peace and hope, he and his wife Linda care for their horses. Samite is also a photographer and wordworker. “I find that the kind of music I do helps people find their own voice again,” he says.